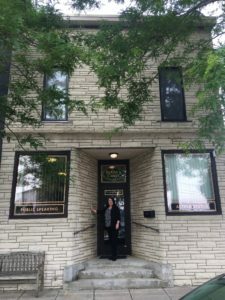 A Downtown Kenosha Facelift, One Facade at a Time - Downtown Kenosha Inc.
After a great deal of research, planning, and preparation the Downtown Kenosha Inc. sponsored Facade Improvement Program is in full swing. In fact, the program’s first round of projects have been completed and a second round is underway. 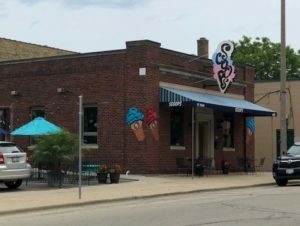 The program is available to all building and business owners located in the downtown Kenosha Business Improvement District (BID). There are qualifications that need to be met and an application process followed by a detailed review by a committee. Despite the amount of planning and work to get the process started, numerous studies show the effort to be worthwhile as, almost universally, businesses see improvement to their overall revenue. 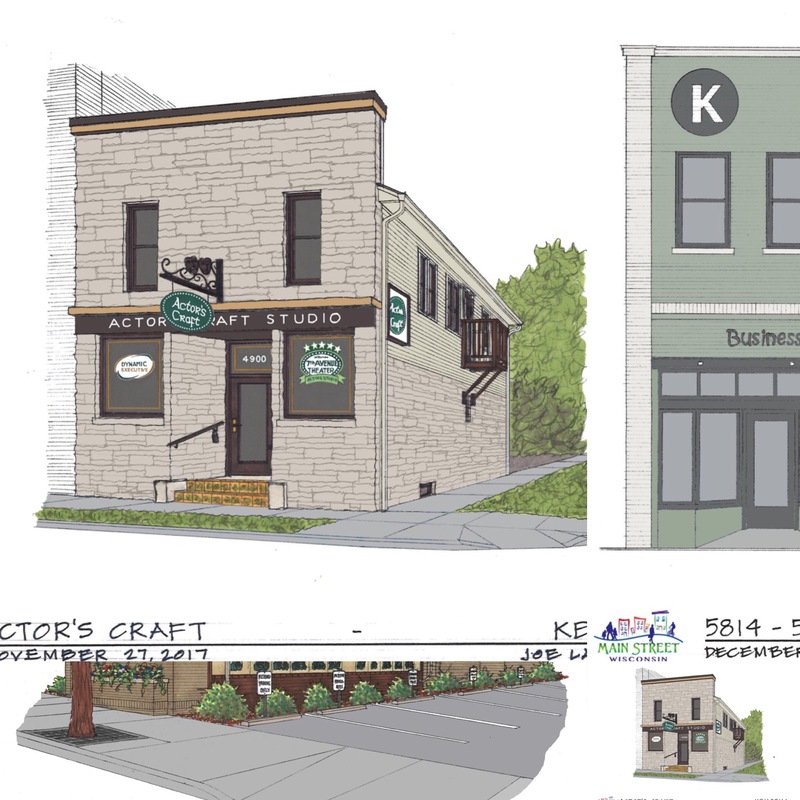 The Facade Improvement Program grants are provided by the Downtown Kenosha, Inc. organization through various funding sources including self-funding, donations from financial institutions, and donations from other local business and organizations. Current donors to the program include DKI, KABA, Tri City National Bank, First American Bank, State Bank of the Lakes, and Exhibit Systems. 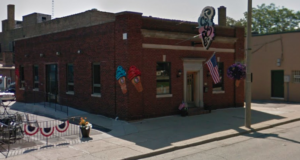 The funds provided are allotted to applicants for building facade improvements up to a $10,000 matching reimbursement grant – meaning the business or building owner is reimbursed 50% of their project costs up to $20,000, with $10,000 of that cost reimbursed. 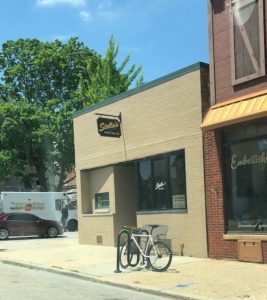 Facade improvements are restricted to areas able to be seen “from the public way” and can include new signs, awnings, paint, doors, windows, and various repairs of the facade. There are design guidelines available to interested applicants detailing best practices and appropriate scope of work for facade improvements. 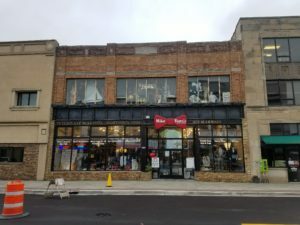 The guide is available at http://downtownkenosha.org/business/facade-improvement-program. Following these guidelines does have bearing on the acceptance of the project, as all applications are reviewed and weighed against certain criteria and scored by a committee made of architects, financiers, and economic development specialists. 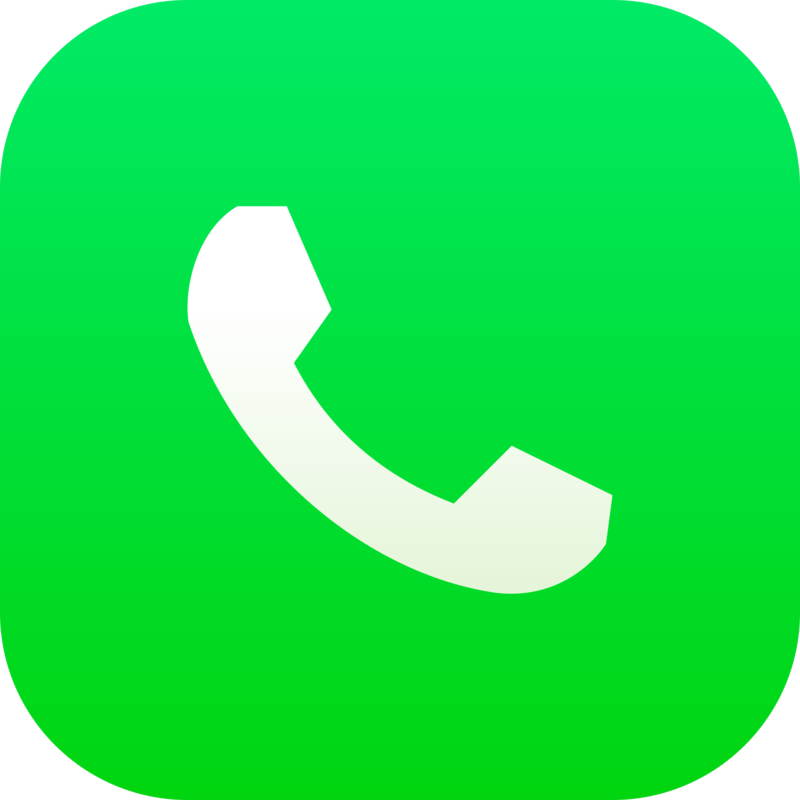 The scoring matrix is available to review prior to application and is highly encouraged. Please view the document at http://downtownkenosha.org/images/pdf/DKI/Scoring-Matrix.pdf. 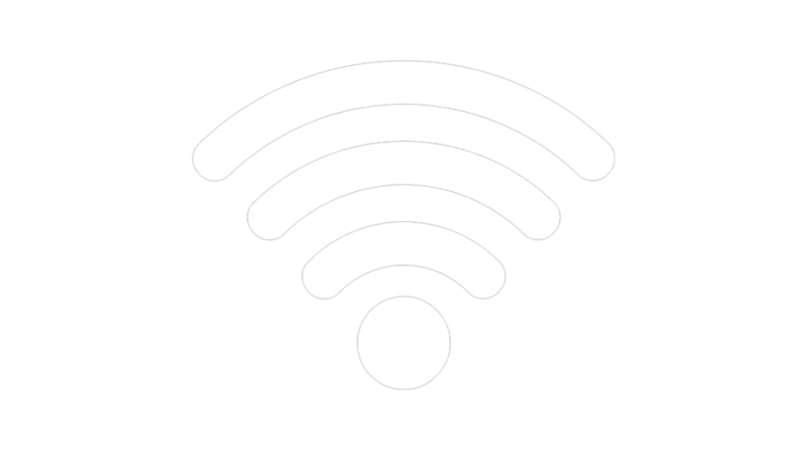 Overall the first and second round of projects proved extremely successful as many of them are completed and the rest are currently underway. 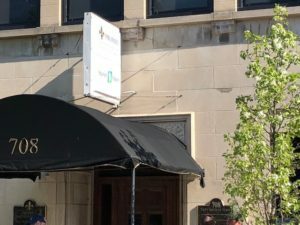 Scoops installed a new awning on the west facing facade, along with some other non-facade related patio work, and has received great feedback from the owners and customers alike. Mike Bjorn’s rejuvenated facade has brought the front of the building back to life with new paint. The storefront’s polished appearance has been restored and welcomes customers to its one-of-a-kind offerings. Actor’s Craft underwent a total facade makeover making the building look almost completely different with a new door, windows, and signage. Stella’s Hair Salon added a new sign to their facade helping to increase noticeability and drive traffic. 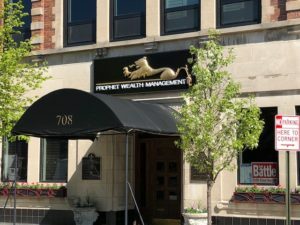 Prophet Wealth Management added new signage as well and makes for a great impact on the newly modernized facade. 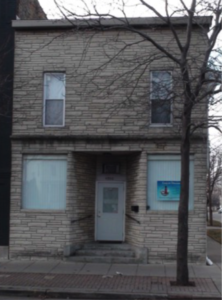 In other areas of Wisconsin and all across the country, there have been communities where the benefits of a facade improvement program can be seen. Per one source, “An Analysis of the Economic Impact of Physical Improvements on Retail Sales,” a study conducted in 2012, found an average increase of 272% in a business’s average annual gross sales the year following a facade improvement. 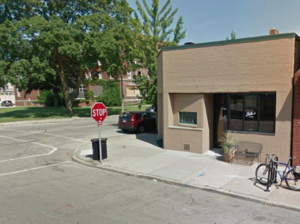 Another interesting finding of the Kenosha County UW-Extension shows that 85% of businesses making improvements to the exterior of the building were found to have made interior improvements as well. 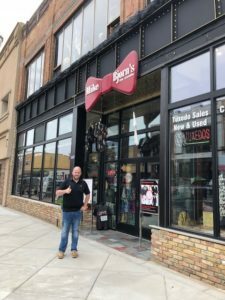 In fact, all 30 cases of facade improvement backed by outside support in the state of Wisconsin were reported to have received favorable customer response and thought to be a worthy venture by the business owner. This study can be found at www.learningstore.uwex.edu. Kevin Ruiz is a long-time Kenosha resident and strong supporter of Downtown Kenosha. He is the chairman of the DKI Economic Vitality committee as well as the Façade Improvement Program committees. 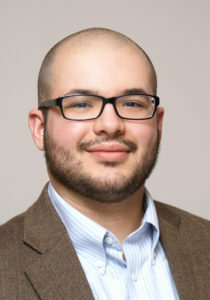 Kevin is an experiential marketing strategist with expertise in digital marketing analytics. He holds a Bachelor’s Degree from UW-Parkside and a post-graduate certificate from the MIT Sloan School of Management.